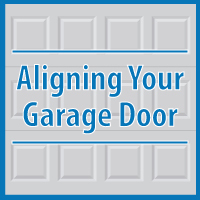 The most common garage door problem people have is with their safety sensors. They are located near the bottom of the track of the garage door near the floor. Generally, but not always, when the door opens but won’t close it tends to be a safety sensor alignment issue. Usually the light bulbs will flash on the garage door opener unit to alert you to the fact that it is a safety sensor or photo eye problem. Regardless of the manufacturer, your safety sensors should have LED lights on them and those lights should be solid at all times. When the LED lights aren’t solid is when you have a problem closing the garage door. Realigning the sensors could be as simple as loosening a wing nut and moving the sensor until the light stays solid or, you may have to remove the sensor from the bracket all together and then re-install it to realign it. Some sensors are mounted on flimsy brackets which can simply be bent around a bit to realign them. Another possible problem with the safety sensors could be that the lenses on the sensors have become covered with a layer of dust that blocks the beam which will keep the door from closing. The lenses can be cleaned with a soft cloth. Be careful not to move the sensors around when doing this or you could cause them to go out of alignment if they are currently aligned. Original article here. 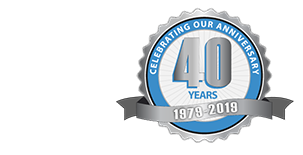 Blue Sky Builders is a Chicagoland Garage Builder. Please contact us with any questions!